It’s mid-winter in the northern hemisphere, and now is the best time to release some new tools for the projects waiting to be built in the spring. As a famous quote states: “The time to repair the roof is when the sun is shining.” And for everyone living on the other half of the planet, please be assured we are doing our best to constantly deliver exciting features across all seasons, like our quarterly Revit releases. With that said, here is a new update for the structural precast extension. The Autodesk Structural Precast Extension for Revit 2019 Update 1 comes with new features for customers working on precast and cast-in-place concrete projects. One of the goals of this release is to enhance connectivity to the fabrication processes, which is why we’re proud to release the Extended CAM Export and the Unitechnik UXML 7.0 CAM Export. This update of the application is available via the Autodesk Desktop App. It is important to note that it works on top of Revit 2019.2, released on January 16, 2019. The Extended CAM Export enables Revit models to be more tightly connected to fabrication. 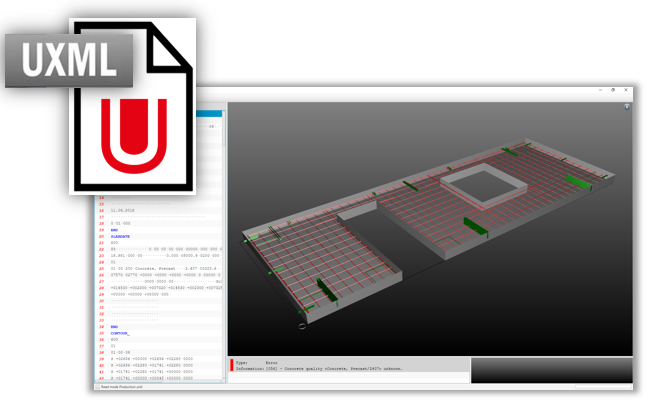 Additional types of precast assemblies and rebar cages for elements used in cast-in-place concrete projects can be connected with ERP tools and factory master computers using the Unitechnik and PXML files. Rebar cages from any element can now be hooked directly to machines for bar cutting, bending, welding, and other industrial robots, further proving Revit’s ability to be the single source of truth for any type of construction project. To be more technical, this feature enables the generation of CAM files for any selection of shape drive reinforcement, for assemblies containing structural solid wall or structural solid slab system families (including their reinforcement, built-in parts, contours and fabrication parameters), and for assemblies containing loadable families that can host rebar (reinforcement, built-in parts, contours, and fabrication parameters). Before I move on to the next innovations, I want to suggest a new step in your current workflow on precast projects. Use Extended CAM Export when you’re using other apps to improve efficiency or customize modelling and the documentation. Logistics, fabrication, and CAM file formats will improve. Unitechnik UXML 7.0 represents one of the latest formats, and our new app update supports this. We know that we need to do our best on several fronts, so we are also delivering two features dedicated to enabling faster modelling of precast elements. 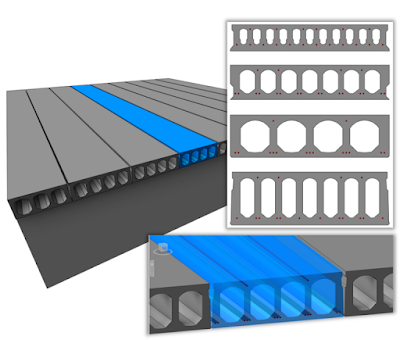 You can more easily model custom fabric sheets by using not only individual bars, but also rebar sets made of shape driven or free form straight bars. For additional productivity, use the Area Reinforcement tool and remove the Area System. The constructability checks are performed as normal, ensuring the sheets comply to the fabrication requirements. The automatic reinforcement tool in the app offers the option to convert the steel bars into a fabric sheet. We’re delivering thirteen new hollow core slab families, helping engineers and detailers implement new design solutions faster. These can be customized using the additional 2 void families and 4 profiles. These families can be found in the installation folder in the “en” or “de” in the Other Families.zip (Andere Familien.zip). The families can be added in the corresponding folders by simply unzipping at the location of the archive. This update of the application is available via the Autodesk Desktop App. It is important to note that it works on top of Revit 2019.2. We’ve made another step towards reducing waste in fabrication with automated deliverables, production processes, bill of materials, and CAM data to drive factory machines. Now it’s time for you to try it and let us know how it works for your projects. Autodesk Structural Precast Extension for Revit 2019 Update 1 is a subscription product enhancement.